UNC Lineberger Comprehensive Cancer Center and the N.C. Cancer Hospital offer a variety of services and programs to meet the needs of patients, families and caregivers as you navigate cancer treatment. 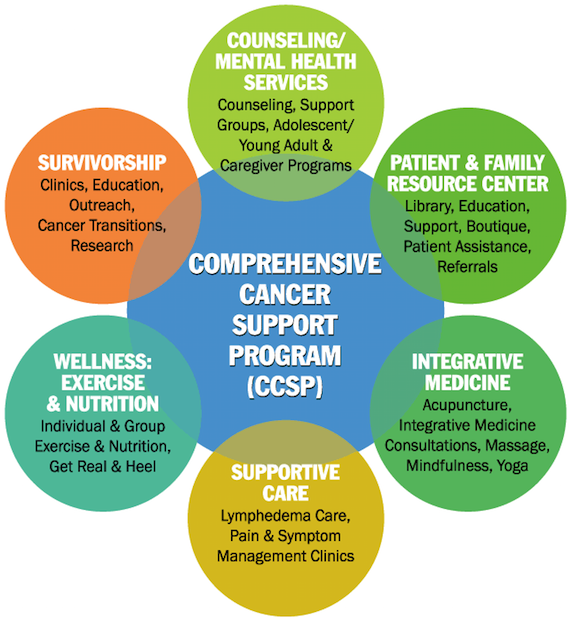 To learn more about the Comprehensive Cancer Support Program by choosing links below. For an overview, see this video.